Are you looking for some Christmas inspiration? This collection of vegan Christmas recipes has a little something for everyone. From mouthwatering main dishes to plant-based sides to decadent vegan desserts, these dishes are loaded with holiday flavor! These main dishes are hearty, filling, and totally gorgeous. No one will believe they’re 100% vegan. With plant-based dishes like this on the menu, no one will miss the meat at all. 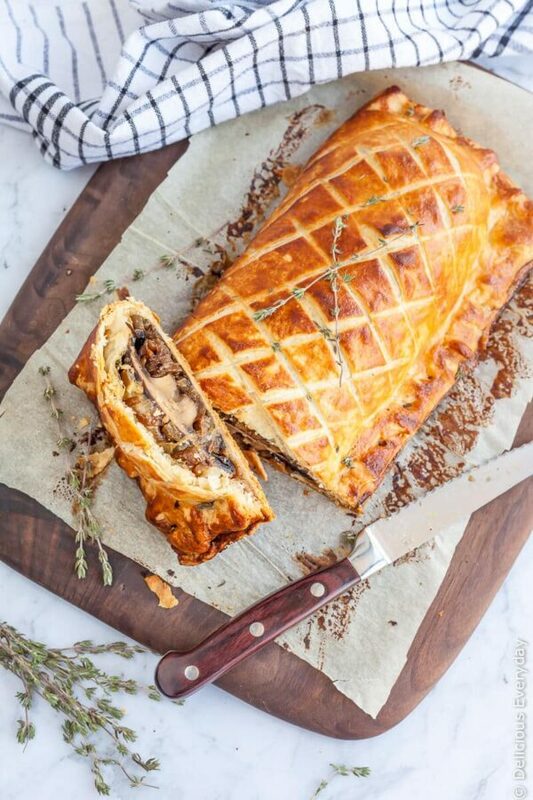 This mouthwatering Mushroom Wellington is one of the most popular vegan Christmas recipes on the blog. In fact, it’s the most popular recipe on the blog – period. I used my very own vegan puff pastry recipe for this magical creation, which is perfect for all those vegan Christmas desserts as well. These vegan pot pies are the newest vegan Christmas recipe on the blog. 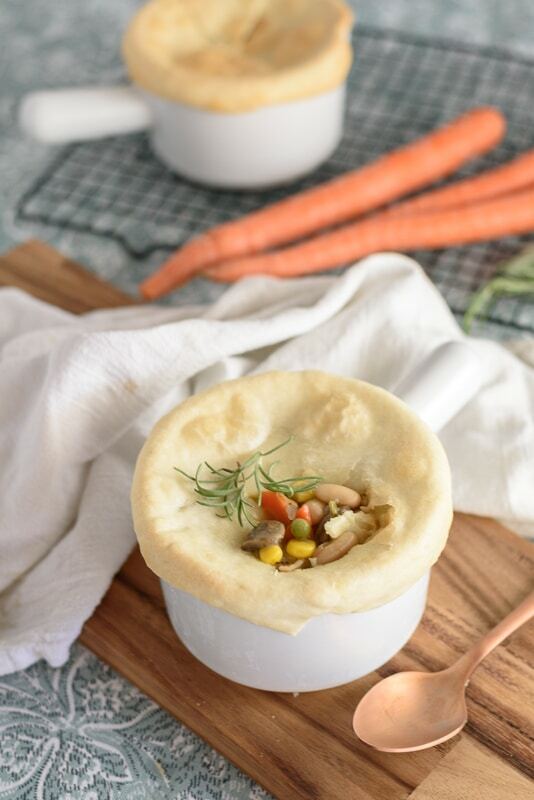 These individual pot pies are loaded with fresh veggies in a creamy sauce, and topped with perfectly flaky vegan pie crust. Yum! 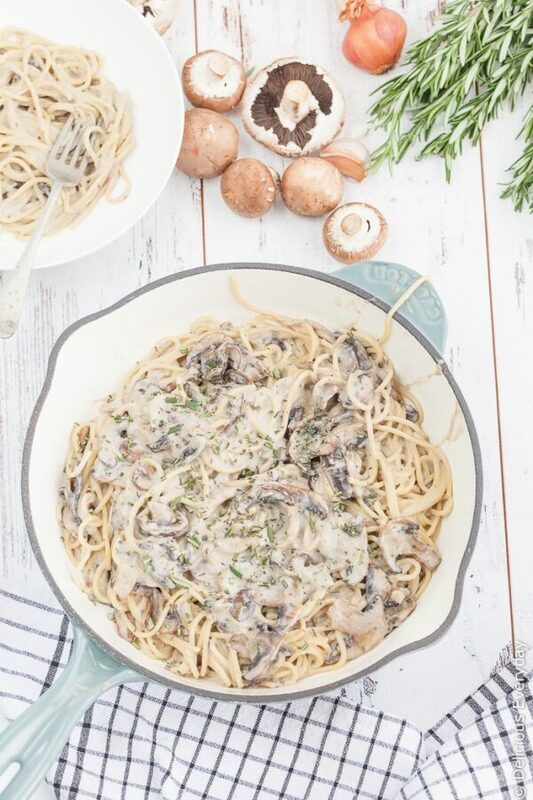 This one-pot creamy mushroom pasta is one of my most requested recipes. The sauce is so perfectly creamy, you’ll never believe it’s completely plant based. And it’s rich and hearty enough to be a fantastic vegan Christmas recipe. Even the kids will love this one! 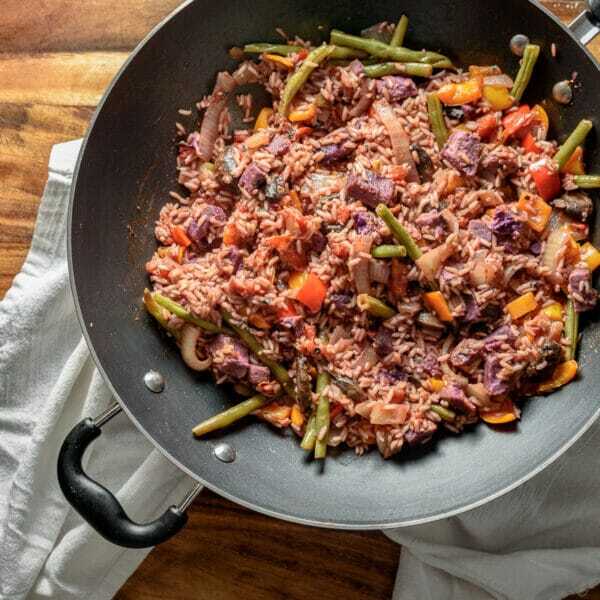 For something a little different, try out this vegan Jambalaya for your Christmas feast. 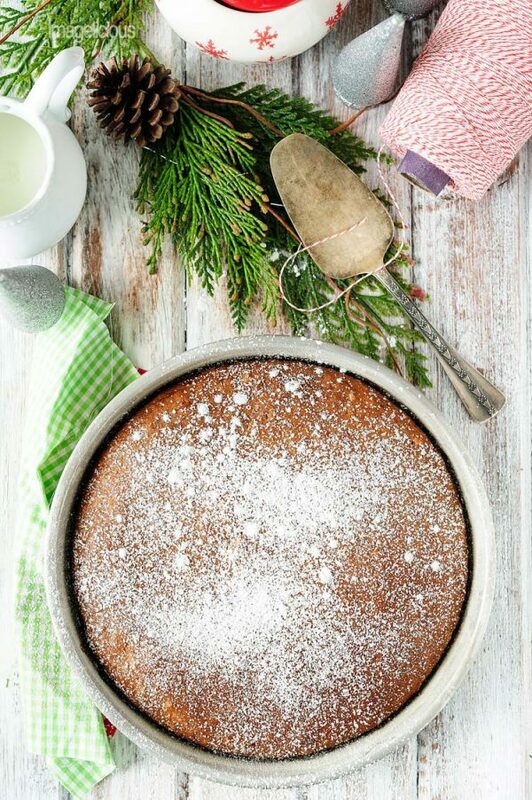 It’s a little non-traditional for a Christmas recipe, but it sure brings a festive flair. It’s loaded with healthy veggies and tons of spice to liven up the party. And it cooks up in just one pot – making that Christmas cooking so much easier! 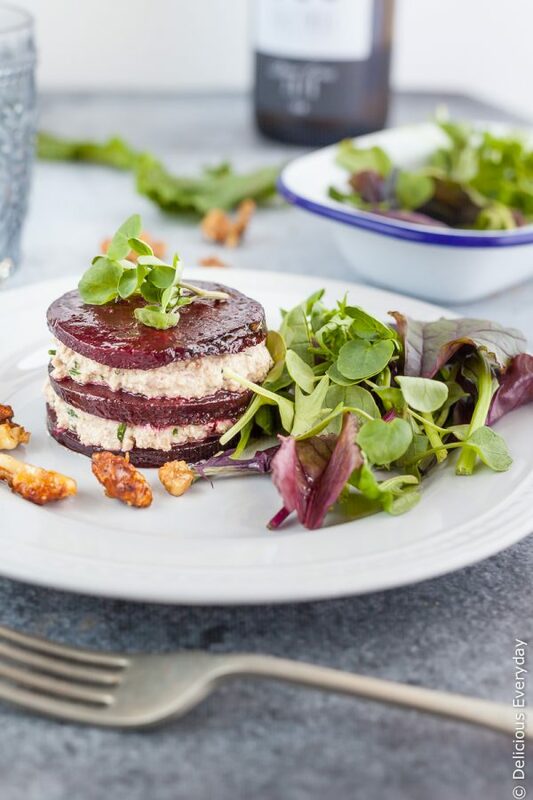 These individual beetroot napoleons are just as pretty as can be. Roasted beets are layered with maple-roasted walnuts and a walnut-chive cream. This is one fancy vegan Christmas recipe! Ready to give that Instant Pot a spin? 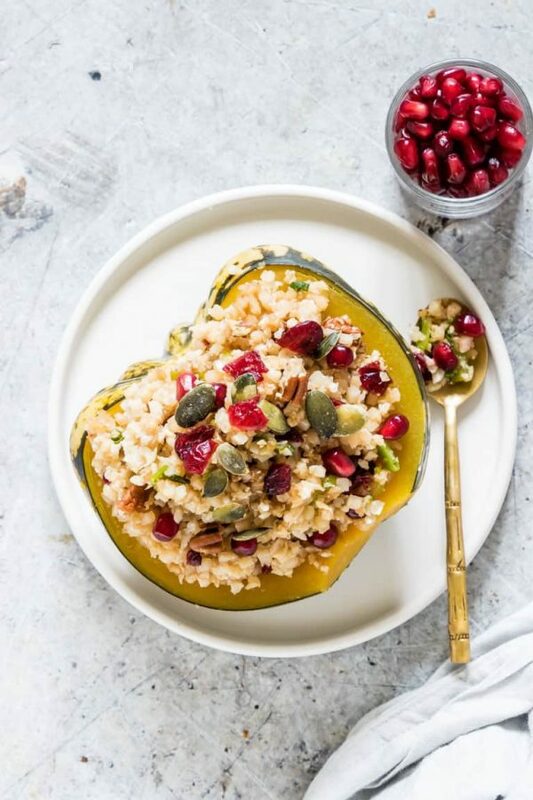 This Stuffed Squash is pretty enough to be a main dish at the Christmas table. Plus it’s hearty, delicious, and easy to make. Oh, and it’s also 100% vegan, gluten-free, and even keto-friendly. What more could you ask for? 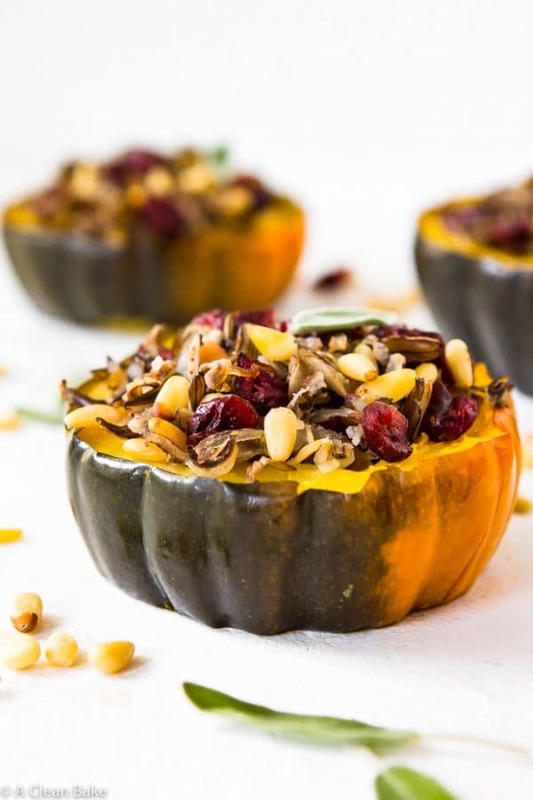 This stuffed acorn squash can be prepped in advance, making it a great vegan Christmas recipe. I love dishes that don’t require me to spend Christmas day in the kitchen! Need a little something to go alongside that showstopping main dish? These vegan side dishes are packed with flavor and pretty enough to grace your Christmas table. Did someones say potatoes? I swear, I could live on potatoes. 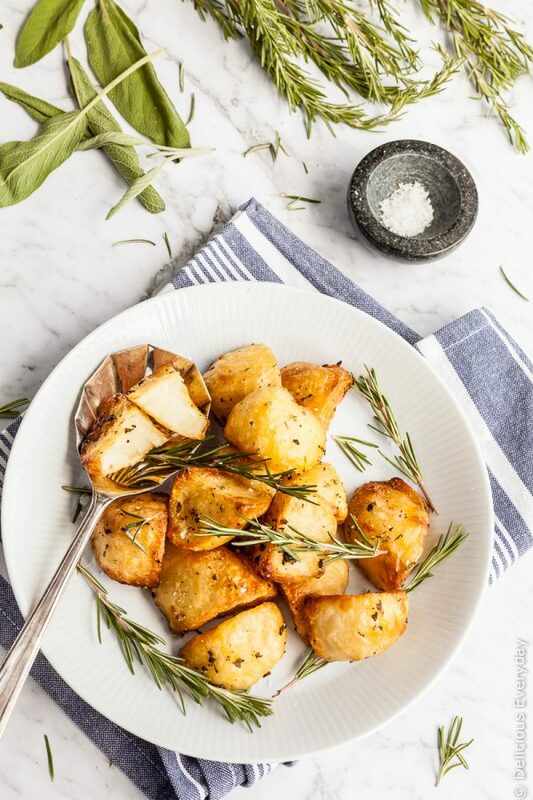 These crispy roast potatoes are my go-to favorite and I think they make a perfect vegan side dish for Christmas. 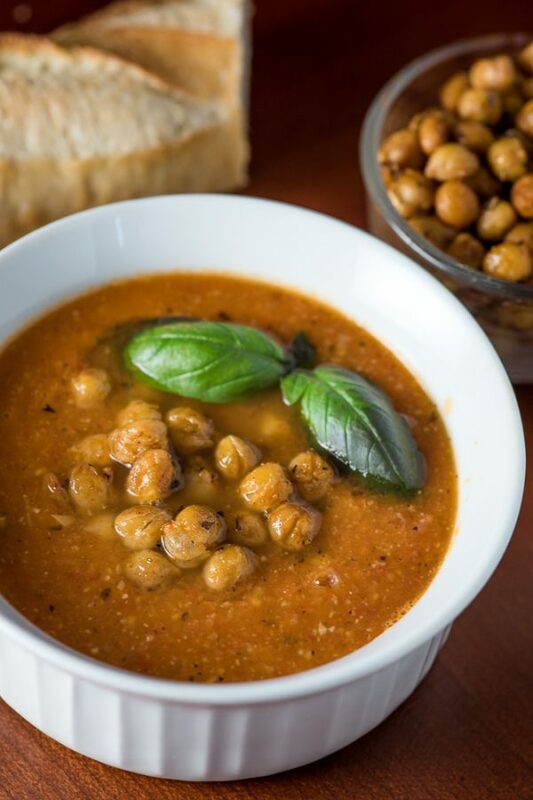 For a belly-warming soup, it’s hard to beat this fiery tomato soup topped with crispy chickpeas. It’s the perfect vegan side dish for the Christmas table. What’a a feast without stuffing? 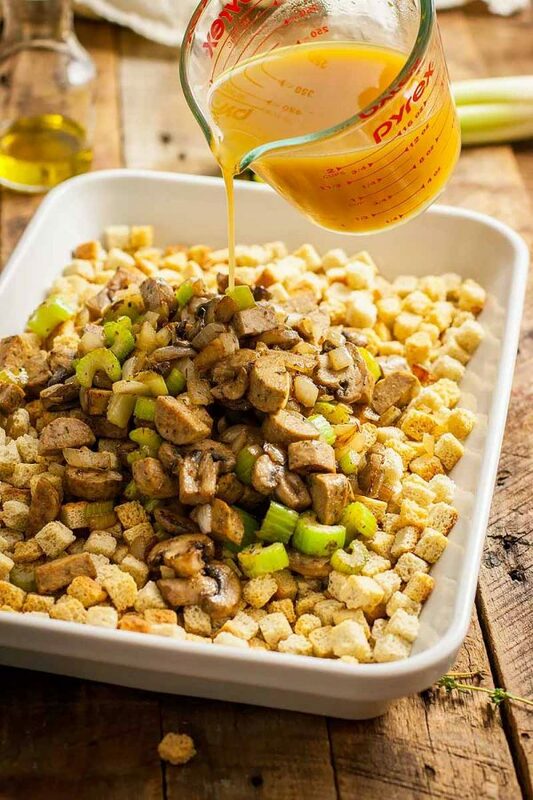 You won’t believe how easy this vegan stuffing is to prepare. Serve it up with some vegan gravy for a fun, Christmas side dish. 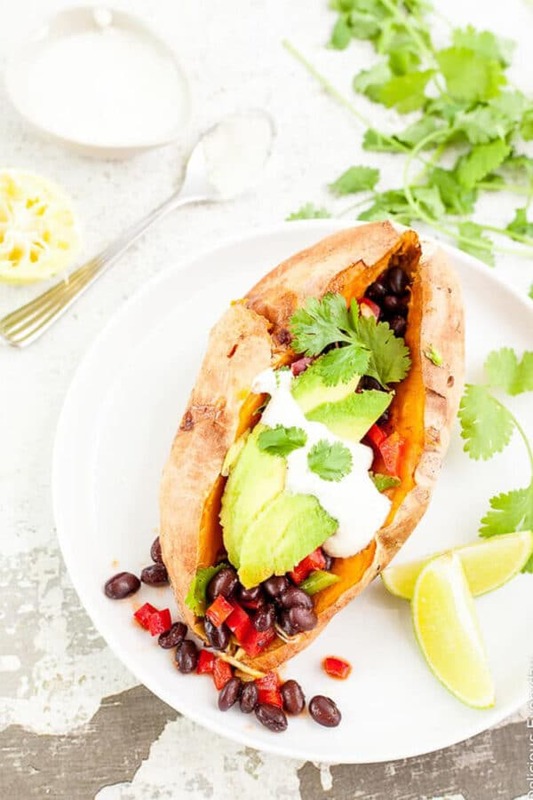 These sweet potatoes are one of my favorite vegan Christmas recipes. They’re packed with spicy black beans and topped with a dairy-free cashew lime cream. Yummy! Brussel Sprouts are a Christmas classic, and this version will not disappoint. These vegan brussel sprouts are roasted in olive oil and balsamic vinegar for a sweet and tangy treat. 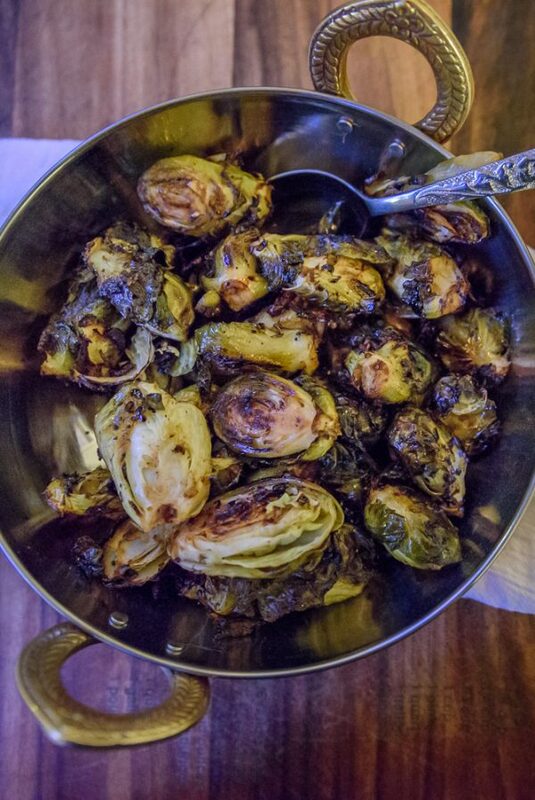 For another twist on the classic brussel sprouts, check out this dish. 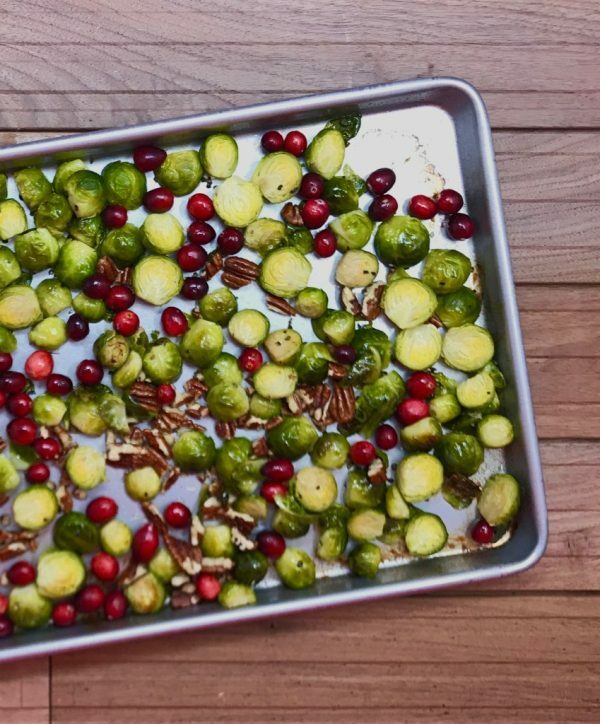 Fresh brussel sprouts are roasted with cranberries and pecans. And those pretty red and green colors make for a perfect vegan Christmas recipe. And I couldn’t resist one more brussel sprouts recipe. 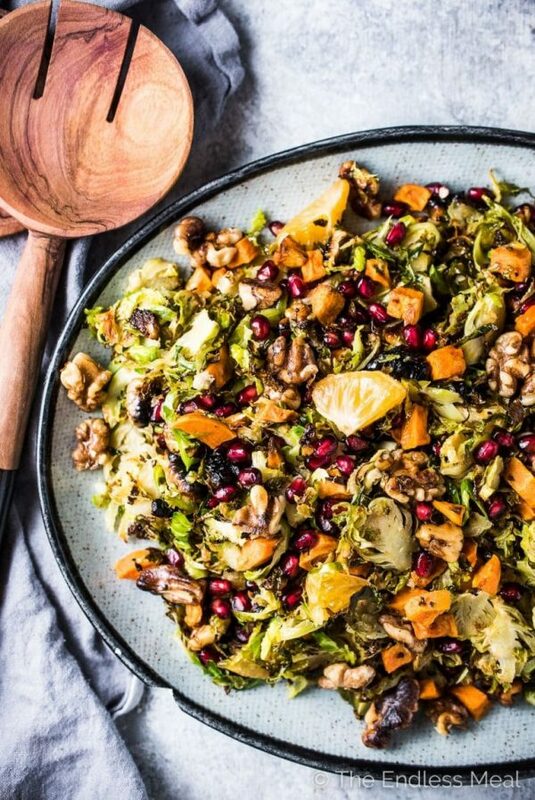 This Shaved Brussels Sprout Salad is packed with Fall flavors from sweet potatoes, toasted walnuts, mandarin oranges, and pomegranate. It’s whole 30 and Paleo friendly, and super easy to make vegan. This Sweet Potato Ribbon Casserole makes for a beautiful and naturally vegan Christmas recipe. 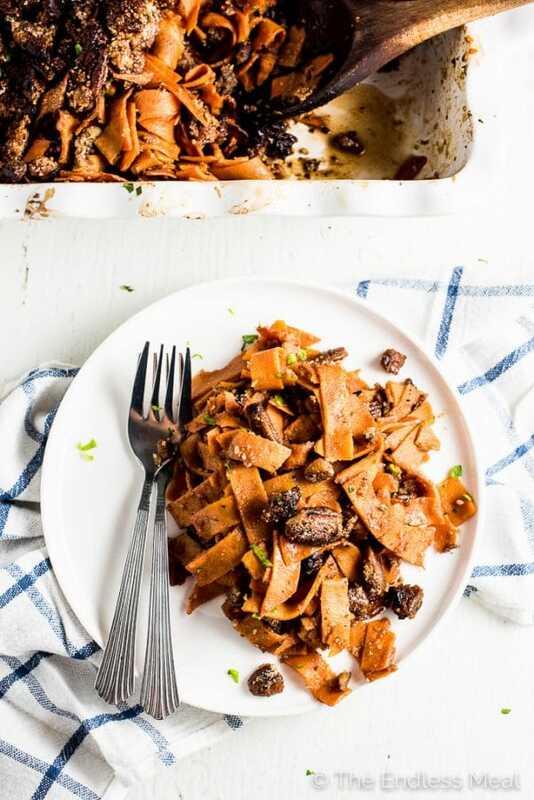 It’s made with pre-cut sweet potato ribbons that are tossed in a maple, bourbon glaze and topped with sweet and crunchy pecans. 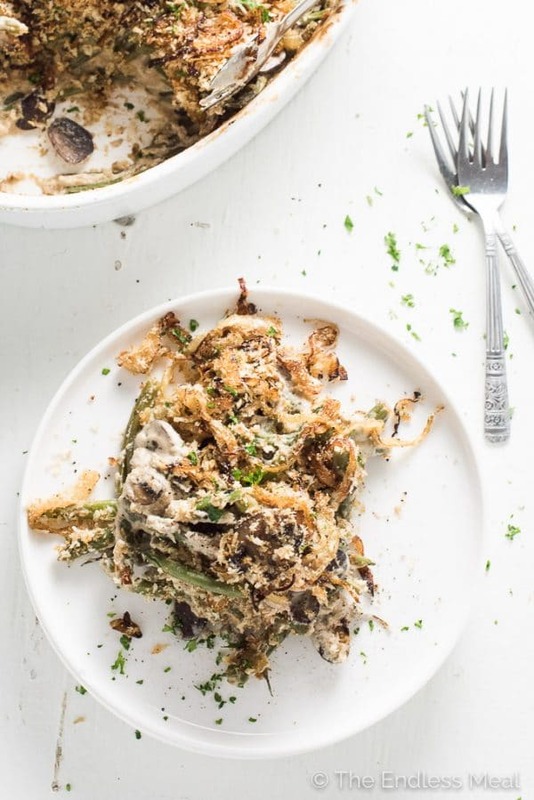 Green bean casserole is a tradition in our house. And this made-from-scratch vegan version is just perfect as a Christmas side dish. It tastes like it’s made with cream and cheese, but it’s 100% dairy-free. You all know dessert is my favorite meal of the day. So I expect Christmas dinner to come complete with an assortment of desserts. 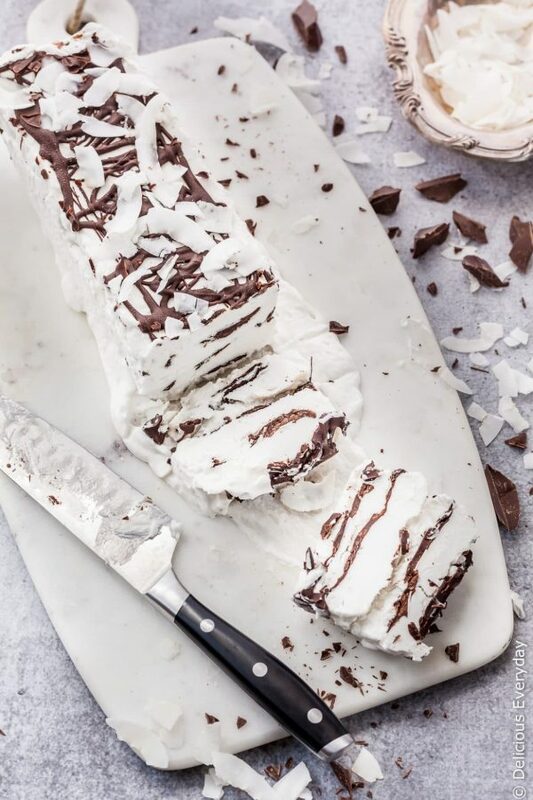 These sweet treats are so decadent, you’ll never know they’re 100% vegan. 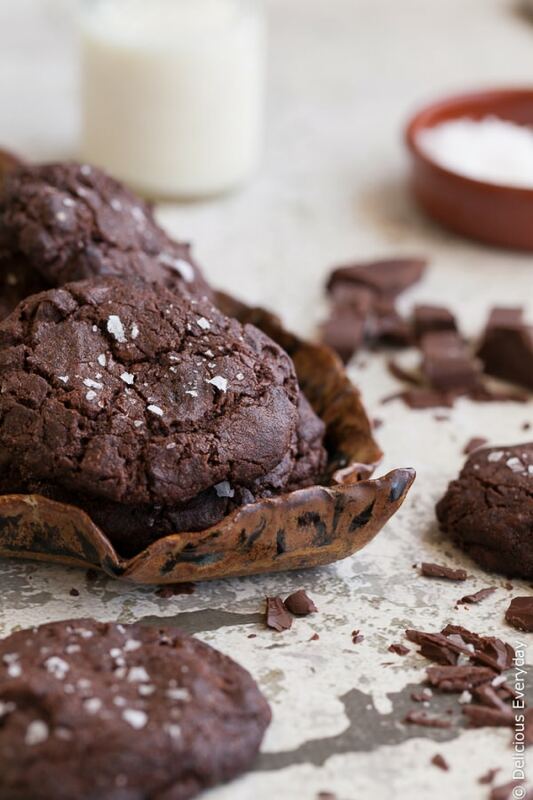 These dark chocolate cookies are packed with dark chocolate chips. 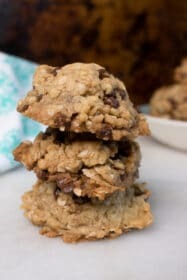 They’re chewy, gooey, and totally delicious. 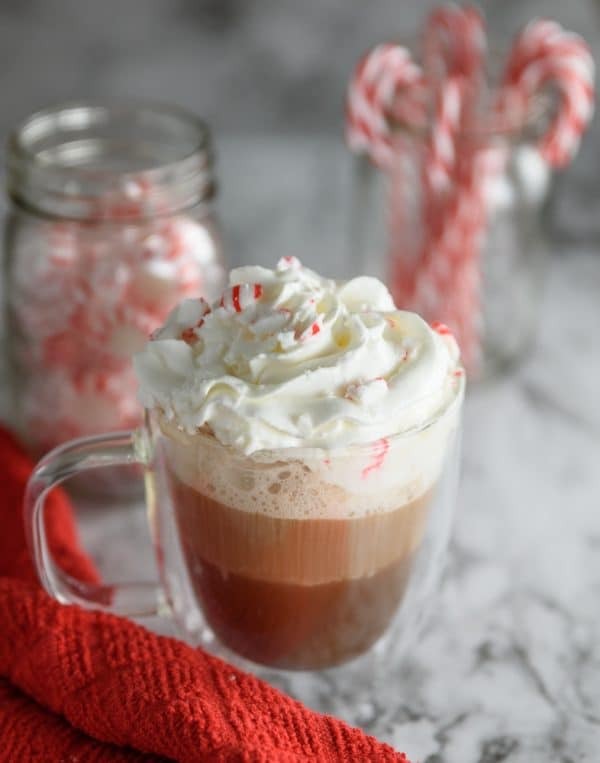 This Peppermint Chocolatte is the perfect coffee to get you in the holiday spirit. It’s a festive blend of rich coffee, hot chocolate, and peppermint syrup – all topped off with whipped cream and crushed peppermints. Need more chocolate? 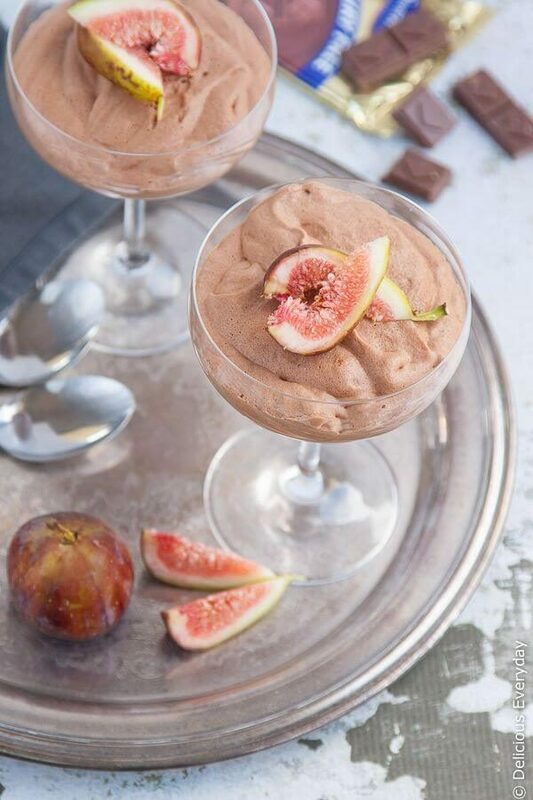 This chocolate mousse makes a great vegan Christmas dessert. It’s so light and fluffy. And you’ll never guess the secret ingredient! 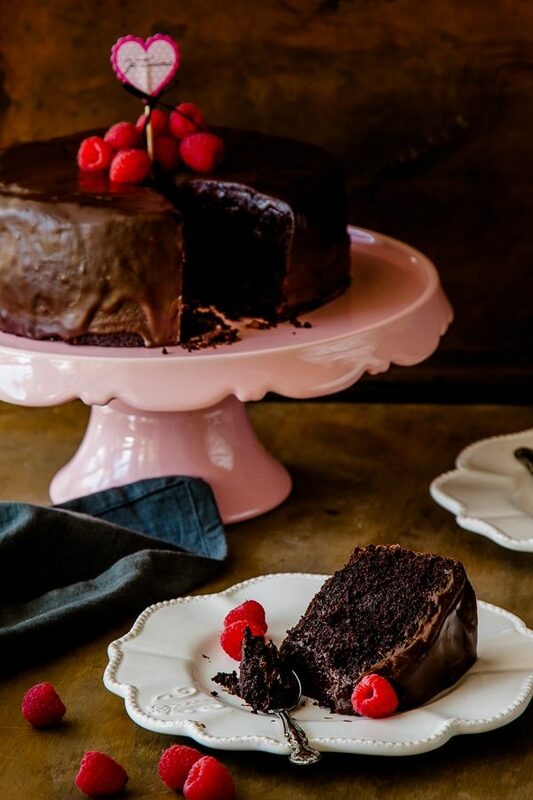 This chocolate cake might be the perfect vegan Christmas dessert. It’s rich and chocolatey, and topped with a vegan chocolate ganache. There’s no wonder it’s one of the most popular recipes on the blog. 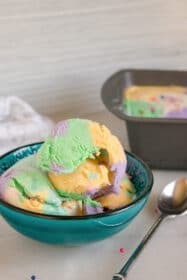 This no-churn vienetta ice cream is every bit as delicious as it is beautiful. While it looks impressive, it’s actually really simple to make. This one is a hit with my own family year after year! Everyone loves a cookie, right? 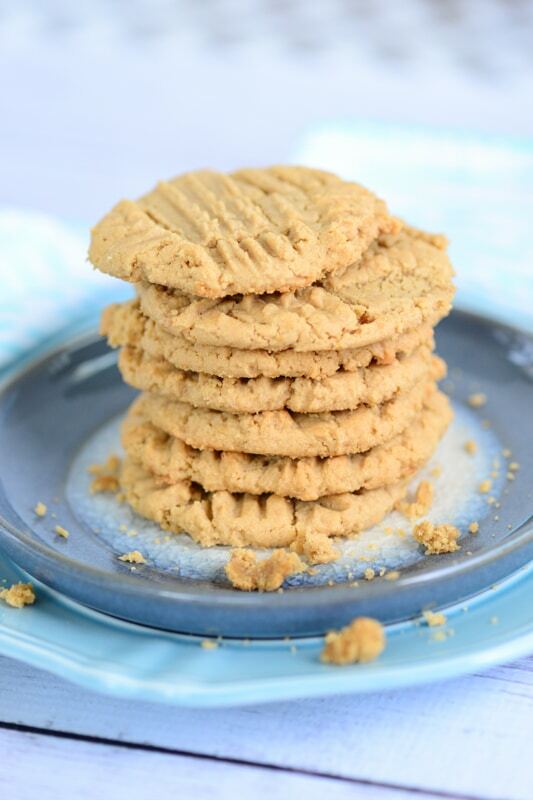 And it’s hard to beat these perfect peanut butter cookies for a Christmas treat. 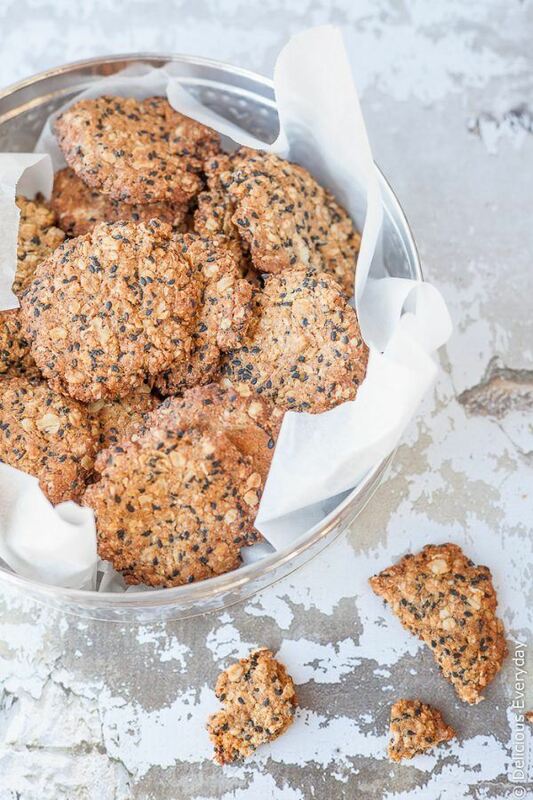 These little cookies are packed with a ton of flavor. Perfect for the Christmas dessert table, or just for snacking on Christmas day! 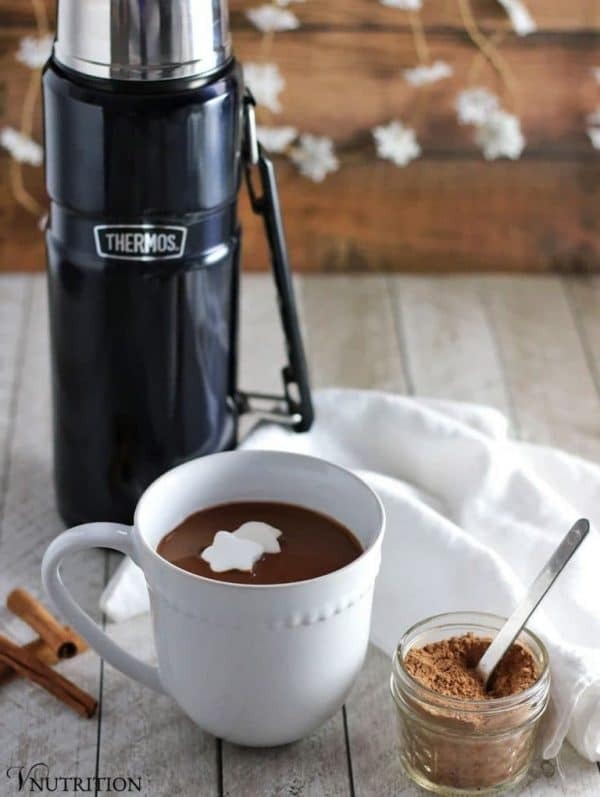 This vegan Gingerbread Hot Chocolate is loaded with Christmas spice, and is perfect for warming up beside the Christmas tree. Top it with some vegan marshmallows for an extra treat. 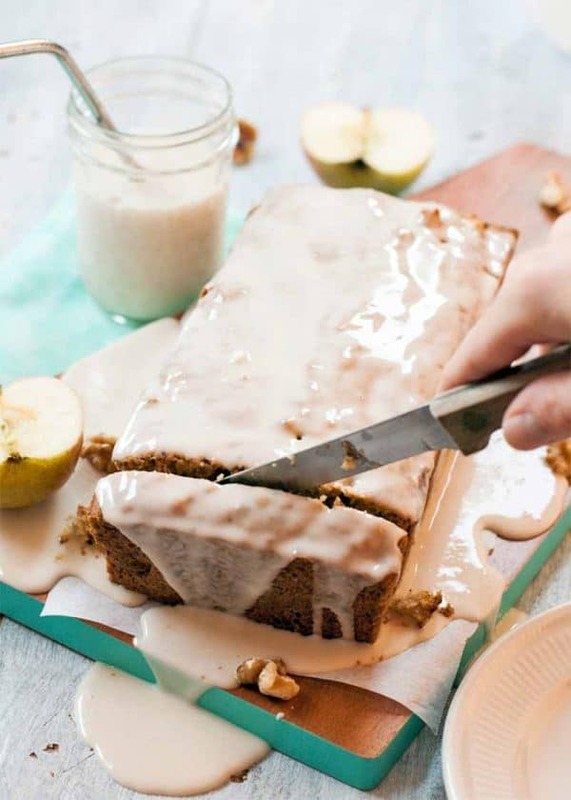 This Vegan Gingerbread Cake is just made for Christmas! It’s soft, light, and deliciously spiced. 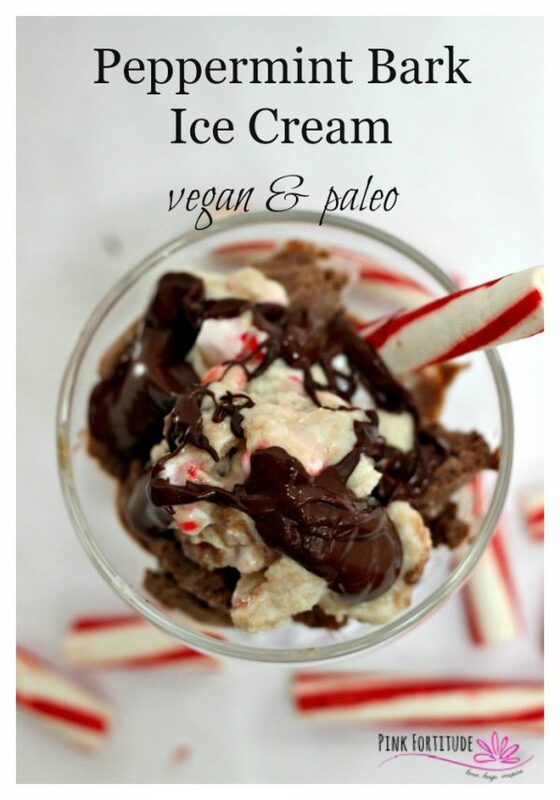 This peppermint bark ice cream makes a perfect vegan Christmas dessert. It’s festive, fun, and totally delicious. And it’s 100% vegan friendly! 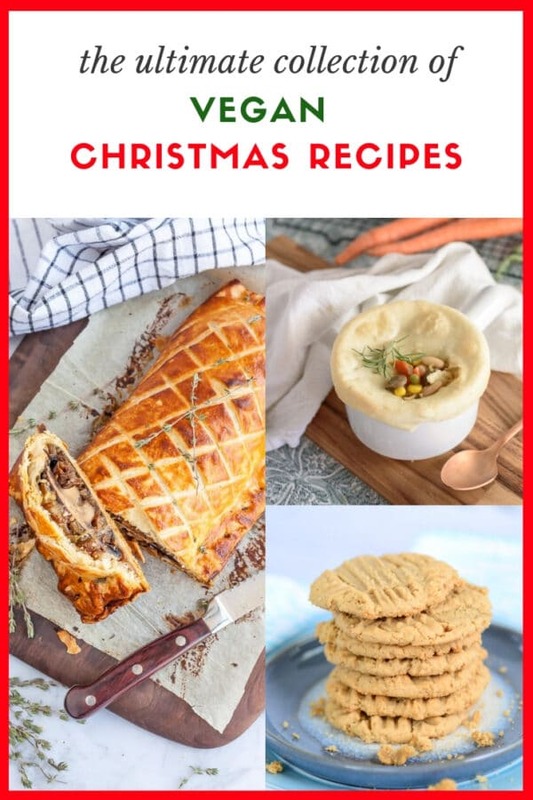 And if that’s not enough sugar for you, check out this collection of vegan Christmas cookies for even more holiday ideas! 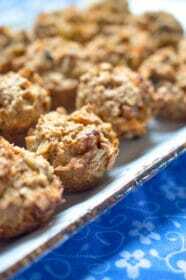 Thank you so much for including my brussels sprouts, cranberries, and pecans with balsamic vinegar recipe in this round up! There are so many delicious recipes here, I can’t wait to try them all! You’re very welcome – great recipe!